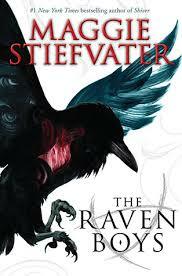 Filled with memorable characters and fresh wit, The Raven Boys is a wild ride from start to finish. Readers familiar with Stiefvater’s Shiver will find this a much more highly developed work, though toward the end the pet phrase, “for a long moment,” reappears several times. Despite this, it’s difficult to imagine readers beginning this series and not eagerly anticipating the second book, which will release in September 2013. One of the boys has a tendency to drink alcohol and get into trouble. It’s not really featured in any scenes. Going home after her sister’s death is the hardest thing Lex has ever had to do. But life in Croak isn’t getting any easier for the teenage Grim Reaper. Though her friends stick with her, the rest of the town blames Lex for Zara’s murderous rampage. After all, Zara wouldn’t be able to Damn souls if Lex hadn’t somehow transferred that ability to her. That Zara killed Lex’s sister doesn’t seem to matter either. Irrational fear and poor leadership whip the town into a frenzy of paranoia until Lex and her friends have no choice but to flee to the Grim capital, DeMyse. Distracted by the glitz and glam of the Vegas-like town, Lex and her friends teeter between concern for the innocents Zara continues to murder and enjoying the city’s night life. Zara will only stop killing when Lex gives her the secret book that will grant terrible power to anyone who reads it. 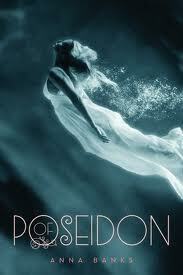 Lex is sure she is the only one who can find it, but will she find it before another innocent soul is Damned? 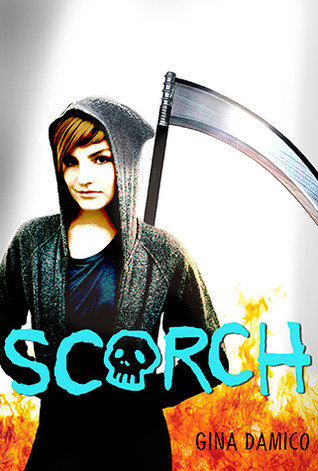 Readers who missed the first book in this series will find Scorch a little hard to follow. The rules of the story world are confusing and not well-explained. The plot meanders forward with frequent pit stops for parties and make-out sessions despite Zara’s promise that an innocent person will die every day until Lex gives her what she wants. While she is a bit shallow, Lex’s struggles with guilt and insecurity are very real and relatable. The appearance of Poe and other famous people of the past were a clever addition to the story. Moderate. Some swearing and lots of uses of various forms of “douche” insults. Heavy. Characters frequently sneak off to make out and hope to progress further. The central characters of the story are Grim Reapers. Human characters experience an afterlife which is more or less wonderful, unless their soul has been Damned by a Grim Reaper. One rogue Grim Damns souls who are undeserving of such punishment. No real connection to Christian world-view. Some battle violence and an explosion. Grims enjoy a special drink that seems to have the same effect as beer. Young characters are depicted drinking it at bar and nightclub type settings.